Everyone has a past. Everyone has been hurt. And everyone has a struggle they're trying to overcome. Every day, we encounter strangers whose stories we may never hear and whose battles we may never see. And yet the smallest act of kindness can be the very glimmer of light someone is longing for to remind them all hope is not lost + that life is totally worth living. In the summer of 2014, we decided to take our crazy passion for people to the streets with Love Out Loud. 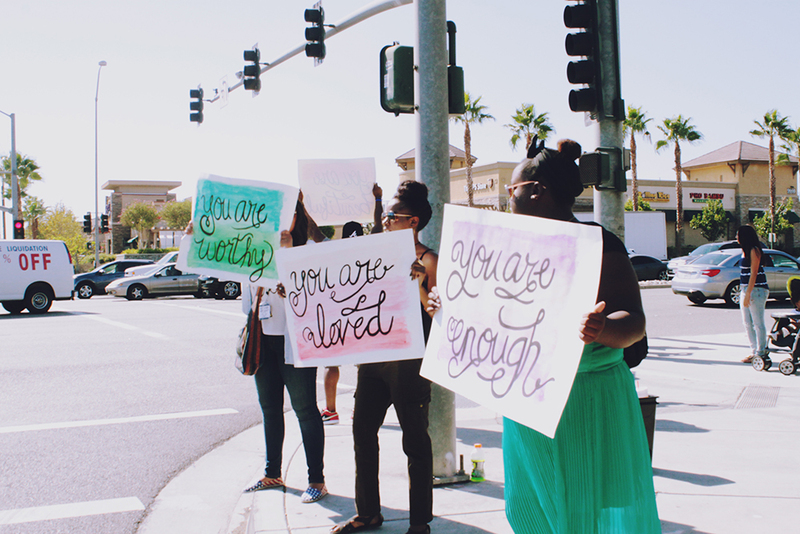 Banding together with locals who were just as excited to spread love, we stood on street corners giving away a whole lot of sunflowers and waving eye-catching posters with words of encouragement + affirmation. What began as a simple effort to show people they matter has become a movement of cultivating kindness! Since then, we've impacted hundreds of people in our local community + host Love Out Loud events once a month from city to city! Who knows...maybe you'll spot us in your neighborhood, giving love away + changing the world one lil' heart at a time. OVER 3,000 PEOPLE REACHED + COUNTING! Wanna Change Lives + Have Fun While Doin' It? Join the Love Out Loud Street Team! We believe love changes things! If you'd like to hop on the bandwagon, join the movement! 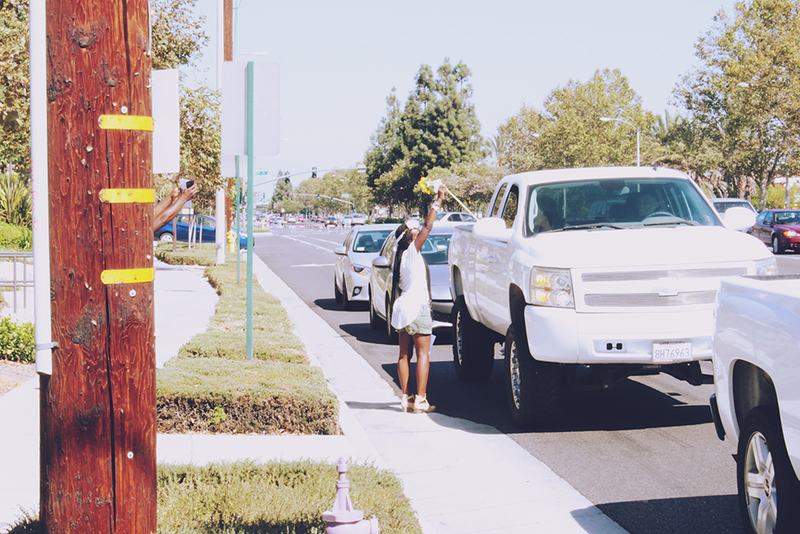 Every month, we hit the pavement to encourage people + giveaway sunflowers to simply show them we care. You can partner with us by checking out our event calendar + saving the dates for the next Love Out Loud! And to keep up with everything going on with us, follow us on Instagram, Facebook + Twitter! Sign up with your email address to receive Love Out Loud updates! We respect your privacy. No worries. We won't spam ya.